Conversations are private messages between 2 or more members. 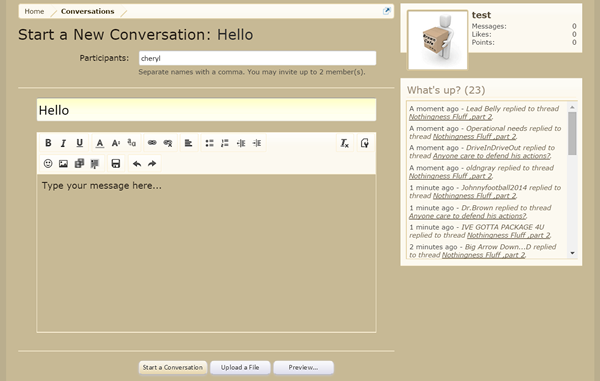 To start a new conversation click on a members name and then click Start a Conversation. You can also start a new conversation by clicking your "Inbox" and then clicking "Start A New Conversation" in the lower right corner of the inbox menu. 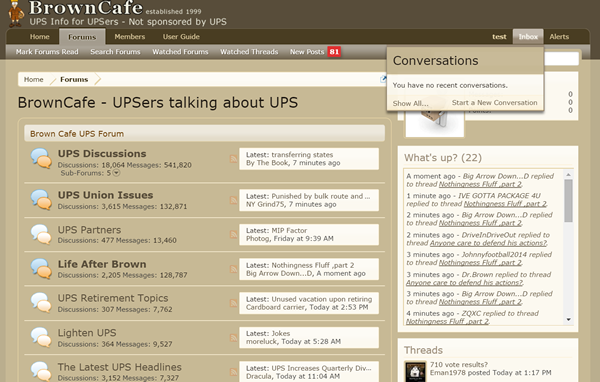 To review your most recent conversations click "Inbox" in the upper right corner of any forum page. Clicking "Show All" in the inbox will display a list of all of your previous conversations.